Jock Explorer Camp is sold as a two night walking trail package; therefore two (2) nights are automatically booked and payable at the time of reserving this unique experience. There are three spacious campaign canvas tents sleeping a maximum of 2 people each. Each Tent has a bucket outside shower and an en-suite bio box toilet (portable) with canvas for privacy. 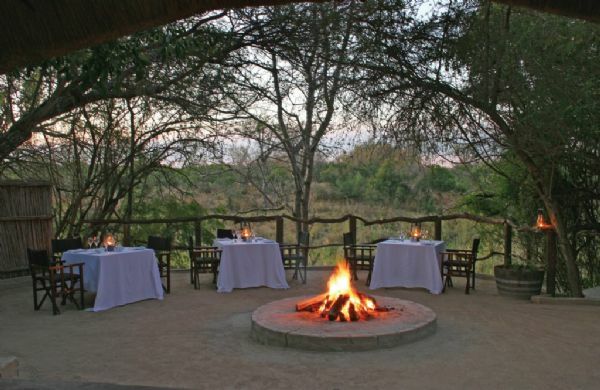 Rustic safari meals are prepared and enjoyed under the African skies by your personal Shangaan Chef. times, tourism levy and 14% Vat. Meet your specialist guide who will host you for lunch at either Main Jock or Fitzpatrick’s at Jock.